this is my first post, but as a silent reader I learned a lot, so first of all: Thank you, you are awesome! For scientific researches my group did a CT scan of a tube filled with hundreds of hexagonial prisms (a so called 'fixed bed'). The goal is to compare this 'real world' filling with filling simulations done with Blender (works great btw ;) ). Unfortunately, the .stl-file provided by the CT scan lacks of 'resolution' (see the attached image): You can see the different pellets, but when you look at the contact points/edges/faces, you see that the surfaces bake together, which is not what we want. We want a closed surface for every single pellet (with empyt spaces between). A CT scanner with higher resolution might solve this problem, but I am curious if there is another solution based on software and smart people. So long story short: Is there an algorithm/ workflow in Blender which can detect shapes and isolate them from each other? Or do you know another software which is more suitable? Browse other questions tagged particles or ask your own question. How can particles be emitted from particles? particles blown away from impact? Particles emitting from particles. Is it possible? 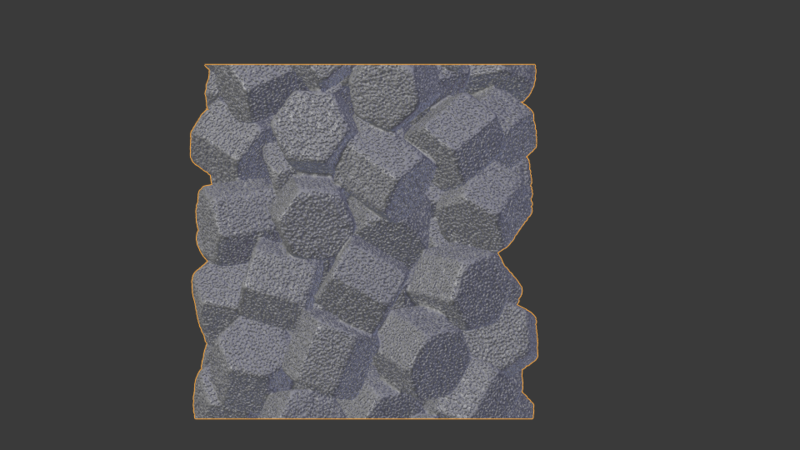 How to stop particles from overlapping?